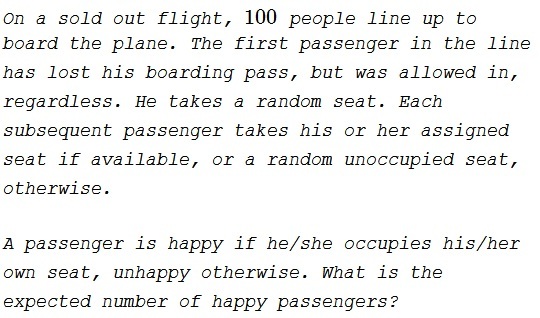 $F^*(n)$ is thus the number of unhappy passengers in an $n-seats$ plane with an a priori misplaced seat. This is a follow-up on the previous problem; the problem above was suggested to me by Konstantin Knop and to him by Alexander Pipersky. Konstantin also supplied his solution to the problem (Solution 1).